Medicinal uses: This plant is believed to prevent excess bruising and to stimulate tissue repair. It is used mainly as a poultice which helps the application of the plant’s astringent and demulcent properties to speed healing. 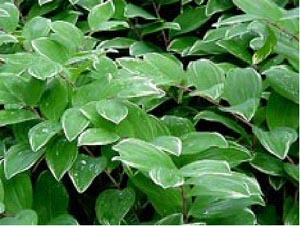 Cautions: Do not take Solomon’s seal internally except under professional advice. The aerial parts, especially the berries, are harmful if eaten (Chevallier 252).